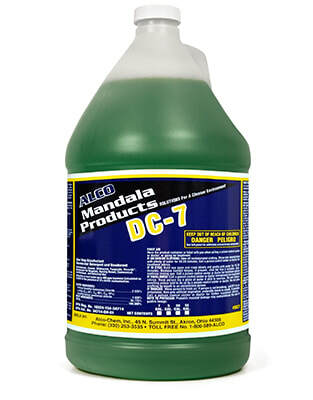 Alco DC-7 - Alco-Chem, Inc.
Disinfectant cleaner kills a broad spectrum of pathogenic bacteria and leaves the floor and surfaces streak free. This special blend of surfactants insures cleaning action as well as disinfecting with a fresh and clean fragrance. Effective against Avian Influenza A H5N1, CA-MRSA and MRSA. Great for use on high gloss finish floors.